I’ve finally read it. It only took me about three attempts, but I’ve read the classic horror/vampire novel Dracula. I attempted the book a few years ago by both reading it and listening to it. At the time it just didn’t work for me. The epistolary novel isn’t always my cup of tea, even though the concept always gets me to check them out. I think when you throw epistolary and classic together, it’s almost certain to be a struggle for me because I always have trouble reading classics (nothing against them, the language, style, etc is normally just hard for me to enjoy a story through). This third time, I have an audiobook version with a great cast and production value. I think that was the key to success for me. I was able to enjoy listening and be into it enough to get how the journal entries and letters made the book what it is (even if I feel it could have worked from one narrator as well with a slightly different way of bringing all the stories together, but I’ll save that for another day). The only thing I was disappointed with for the audiobook was that Tim Curry was listed high on the cast list…but we don’t get much of a performance from him. He does the narration for Van Helsing’s parts, and there aren’t that many of them. At the same time, I do think he was a good choice for that part. So to the story, we all know the basics. I’ve seen a few of the film adaptations, I’m sure many of you reading this have as well, and maybe even read some adaptations. Many of us also know of the modern vampire mythology, whether it’s Twilight, Buffy, or any of the other vast interpretations (one of my favorites comes from Thomas Winship’s Vaempire’s series). How does Stoker’s early vision match up for the modern reader? Well, it was interesting how much has been taken from this mythology, and also how much seems to have been left behind. Yes, we’re still using stakes and beheadings. Garlic is even still a thing. But what about the deal with the tides and crossing bodies of water? For me, I haven’t seen that anywhere else. It was also interesting to see Stoker take a literary figure we seem to hold high up as a cunning, strong, and dangerous creature/man in the horror world and have Van Helsing say he has the brain of a child, compared to their “man brains”. There’s more to that than I’ll get into, but on the surface, it seemed strange that he’d feel the urge to write that this man, centuries old, would not have matured and become powerful in mind in order to overcome our heroes. He was too easily “outsmarted” in my opinion. 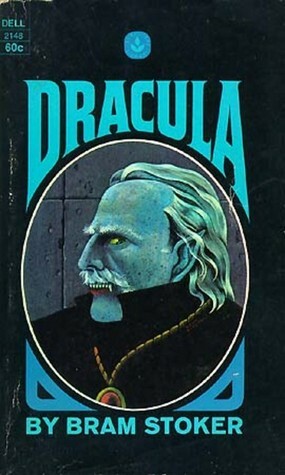 From the beginning Dracula seemed to be the figure we all conjure up and able to outwit many. How did I feel about the story overall? I was surprised to found that I enjoyed it almost completely. Yes, there were parts I felt had no need to be in there, and I also thought Renfield was somewhat unnecessary, even though I enjoyed his character. But after all, all readers have opinions on what is and isn’t “needed” in a book. All that matters is that the story was enjoyed and that this one in particular has continued to reach readers even 100 years later. Would I read it again? Probably not. But I’ve gained an appreciation for another classic (doesn’t happen every day).